A combination of superfandom and ludicrously in-depth detective work has revealed yet another clandestine account, this one allegedly belonging to New Zealand pop sensation Lorde. Its focus? Onion rings. Which ones are good and which ones are bad. It was called onionringsworldwide, and all signs point to it belonging to the celeb. The followers: Its 24 followers included Lorde herself, as well as Lorde associates like Justin Warren, Jimmy Mac, and Maddy Budd. The locations: Numerous posts coincided with Lorde’s whereabouts, be it in Tennessee when Lorde was at Bonnaroo or Sydney, Australia when the singer was playing a nearby show. The language: This one’s stretch. “Eaten ceremoniously” isn’t that Lorde-ish. The fingers: Here’s where things get creepy. A “big fan” of Lorde has provided side-by-side photos that show distinct similarities between the singer’s fingers and those seen gripping those crispy rings. You can compare and contrast the images over on Newshub, but, fair warning, they are just pictures of fingers. 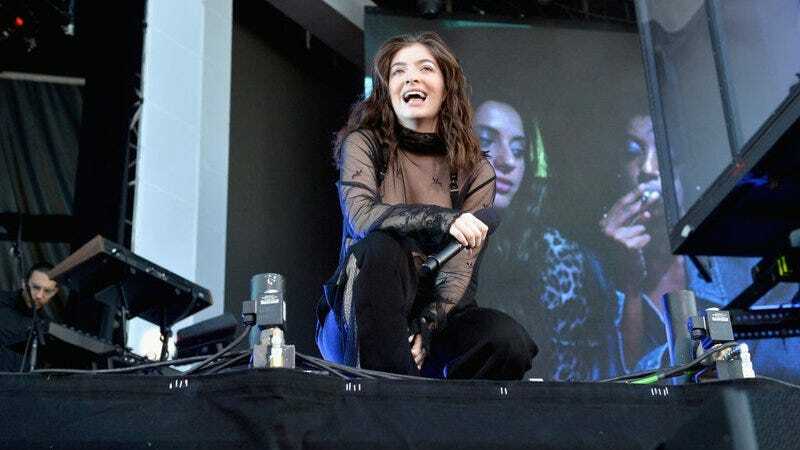 The biggest indicator that onionringsworldwide was a Lorde account, however, is that the account mysteriously vanished after Newshub contacted the singer’s camp about the account. Why so ashamed, Lorde? Or was this all just a marketing ploy to prepare listeners for Melodrama’s numerous odes to fried appetizers? We look forward to discovering Kanye West’s Philip Roth fan page on Facebook, Jack White’s Instagram collection of glass-blown miniatures, or Wale’s secret pro wrestling account (okay, that one’s not so secret).